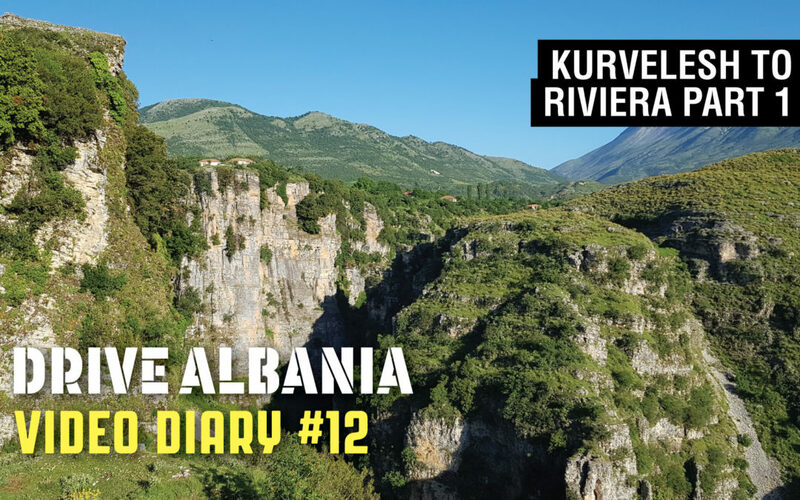 Our big push to catch up with our video diaries continues… In the 12th instalment, Ed & Henri from Drive Albania wake up in the village of Nivica, which is perched on the edge of a beautiful canyon. To Henri’s distress, though, one of his spangly Adidas trainers is missing. Bubi the Office Dog is blamed A) for stealing the shoe (which he didn’t) and then B) for failing to protect the shoe from the true culprit, a local hound of bad character. We don’t want this wanton criminality to put you off visiting Nivica. It’s one of the most beautiful spots in south Albania, though inexplicably hasn’t made it into many, if any, of the guidebooks. This is probably due to the road situation here – you really need a 4x4 to reach Nivica. It’s worth putting up with the bumps, as the views are fantastic and the locals extremely welcoming. Our charming hostess for the night, Mira, was a victim too, but found her shoe and has since recovered from the ordeal. You can find her homestay right by the café in Rexhin, or call her on 00355 69 423 6116 if you’d like to stay.